I'm guessing he was unhappy about a questionable foul call with one second left, allowing Pulaski to win by one and ending Notre Dame's season? From what I hear he is supper supportive of his kids and his step kids. Big part of reason he did not take job this year was that he wanted time to spend with family and was very selective on jobs he would take. Heard his step sons will be senior's this upcoming year so he wanted to be with them before they go off to college. Idiot. Following after the refs, even the few steps that he did, was just plain dumb on his part. 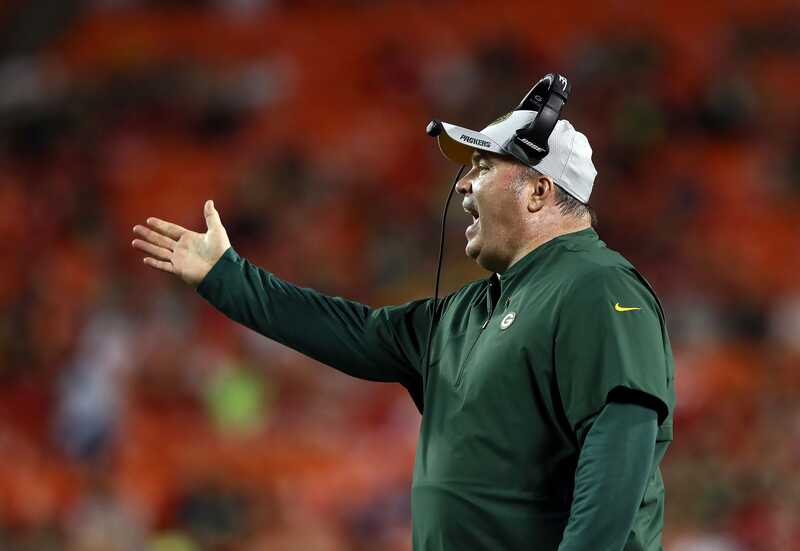 He has to realize that in Green Bay he is not just another parent, at least not yet, and what he does in situations like that will be more scrutinized. There are people who will try to make an example of him. I would have expected him to have a better perspective on high school sports than this. Whatever becomes of this, even if it gets blown into a huge deal, he has no one to blame but himself. I will not feel sorry for him. I would've thunk MM would've better understood that you're not doing your kid - or any of the kids - a favor by railing against the refs. I thought MM would understand better than most how dumb it is to go ballistic over a high school game. It's the kids's game, not the parents' game. Shut up and let the kids play. And let them figure out how to handle bad calls. Preferably with more class than MM showed. Exactly. Some heckling of the refs isn't unexpected, even by the refs, but when you go ballistic and start following them you've gone over the line, especially at the high school level. You'd think a guy that has coached a Super Bowl team would understand "perspective".